My mom sent me a blog post from Food Renegade about doing a homemade cracker challenge and the giveaway was a top of the line grain grinder, which for the past couple of months has been a *want* for me but they are over $500 for a good one. 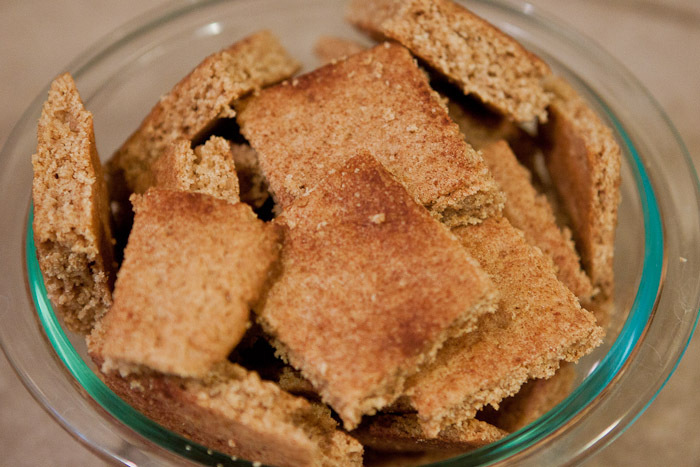 So I decided to try making some graham crackers and for an entry. They used a flour I honestly had never heard of (einkorn) so I decided to use spelt flour instead. 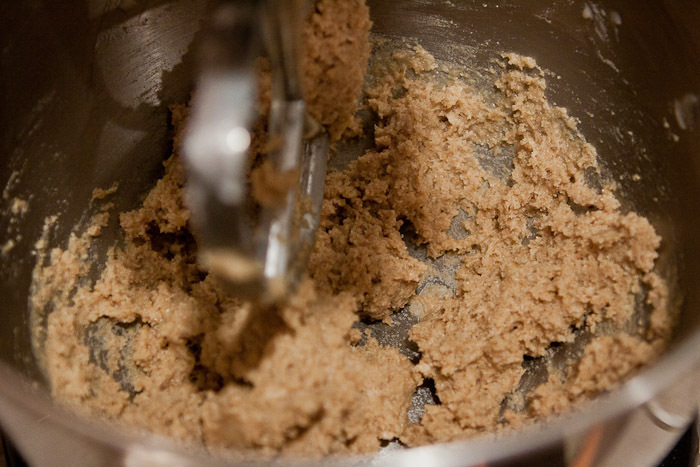 Mix flour, salt, baking powder and baking soda together in your stand mixer with the paddle. Add oil, honey and milk until well combined. 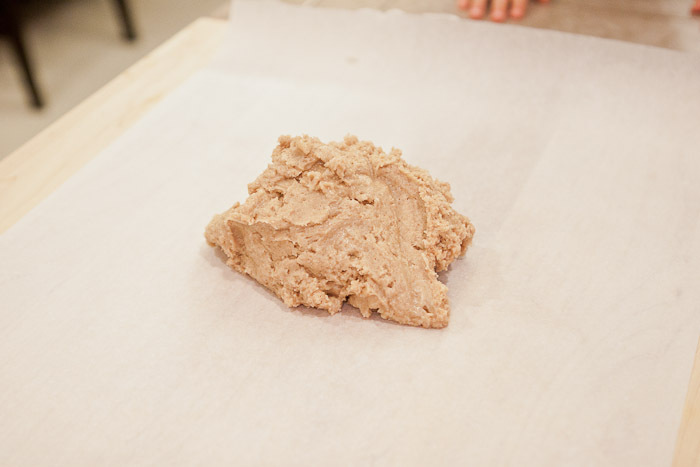 Should be a really wet dough but hold together if you made a ball. 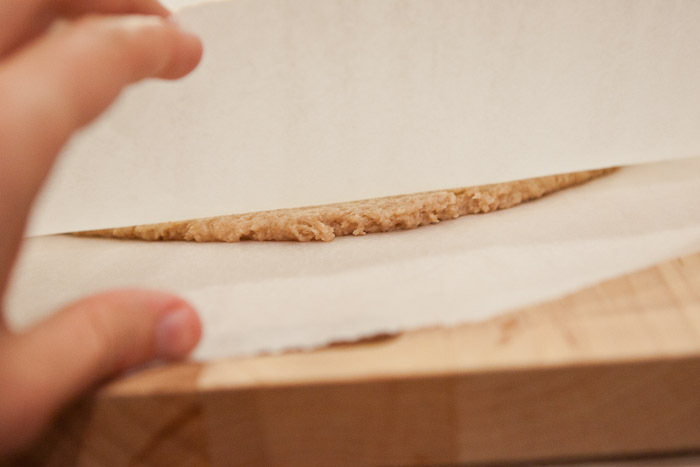 Scrape it out of the bowl and onto a sheet of parchment paper on a smooth, hard surface. 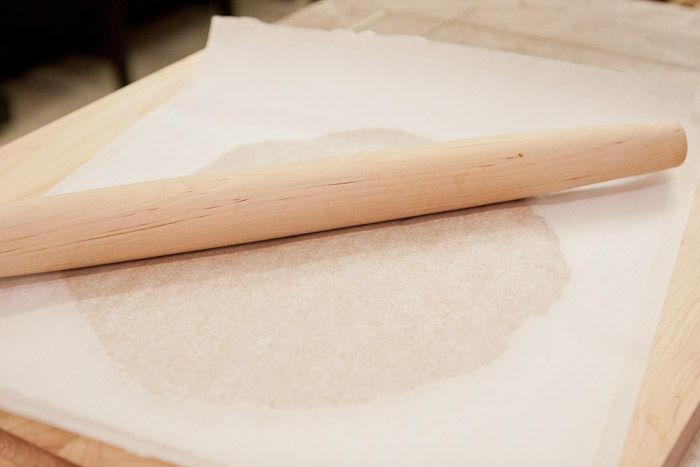 Put another piece of parchment paper on top and roll until 1/8 inch thick. I was a little shy about rolling it too thin, so this turned out to be too thick but the crackers were still YUMMMM! 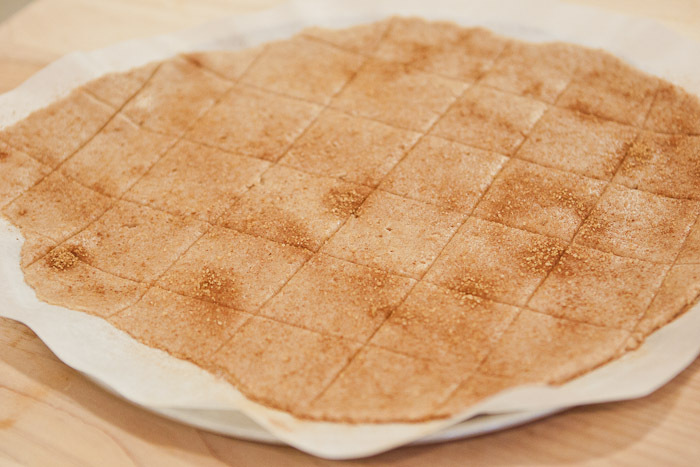 Take the top piece of parchment paper off and sprinkle with sugar and cinnamon. Score with a pizza cutter into 1 inch by 1 inch squares. 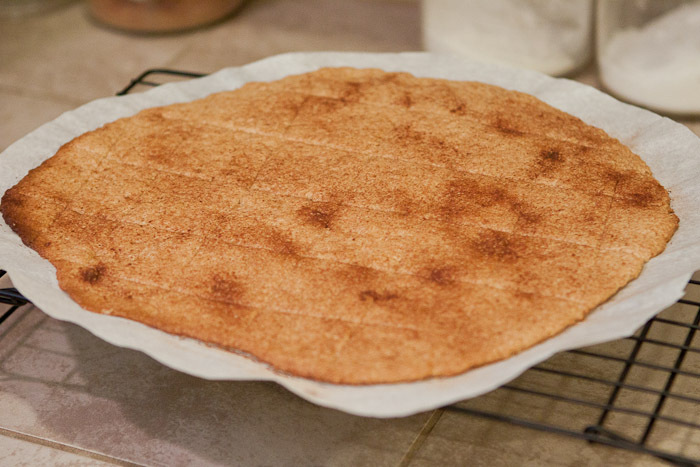 I then slid the parchment paper onto a round pizza cooking sheet that has holes in the bottom. My hopes were that it’s help crisp up the crackers more. Bake for 18 minutes. Turning halfway if you don’t have an even cooking oven like myself. Slide the crackers off the pan and onto a cooling rack. Let cool completely and then break along the lines.